Glenn Reynolds links to a story in the New Yorker magazine entitled The iPod of Prison. 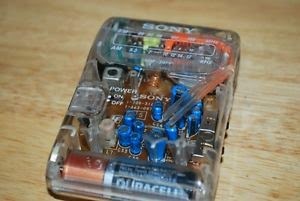 The story is about a Sony portable radio in use in the prison systems, the SRF-39FP, and the usages and customs that have grown up around it. I have always had an eye on "ultralight" radios, and the New Yorker article refreshed that interest. The article refers to what appears to be the main website that serves this topic, DXer.CA, "Canada's Original Radio Site", and this page on ultralight radios on that site. The article also quotes Gary Debok, an authority on ultralight radio DX and, it so happens, a ham radio operator. I found my way to two posts that Gary made to the eHam website. I visited that site a lot when the K4JSU radio shack was up and running.